Ladyfish are known to grow to about 40 inches in length, weighing about 22 pounds. I personally have caught a 38 inch sized slippery monster who almost got away both for a bit of outwitting. Ladyfish will certainly put up a good fight at the end of the hook. With that being said may I now proceed to provide you with tips on how to catch a ladyfish like a pro. In choosing what to take along with you on your angling expedition you have to take into consideration the ladyfish's agility and the location of your fishing expedition. Should your fishing expedition be in open estuaries, then while an ultra light tackle would provide you with a memorable fight, a light tackle should be perfect? 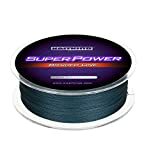 Fishing Line - This is the second most important thing after bait. The length of the spinning rod simply follows the thumb rule. Longer the rod, greater will be the distance of casting. However, a shorter rod might work well for accurateness. Bending would be less in strong rod and it further indicates more potential to set hooks. These are even very sensitive. Light spinning reels are usually less than 8 oz or even less than it. Such light weight reels provide fast recovery rates. These are very durable and functions superbly. ​These light weight reels are made up of premium quality of materials and provide resistance from saltwater. Most of the anglers use such reels due to its light weight and ease of use. If you want to fool the fish easily, you would have to use live bait for it. Fishermen use bait to attract fishes to make them bite the hook. And live bait will be the best especially for fussy ones. However, selection of baits depends on certain factors such as the fish type, availability of the bait in that fishing environment and many other things. The most recommended line for fishing ladyfish is monofilament line. The stretch of the line might give small slack while the fish spring all of a sudden. And in terms of cost and clarity, monofilament lines would be a better option. Braided lines have both positive and negative sides. These lines have sensitivity more and are very light, but have no stretch. In terms of visibility, fluorocarbon lines will be the best option. Nose fishing pliers are one of the fishing materials that are usually overlooked. These pliers could remove bend wires, hooks, cut line, split rings and many other things. However, a cheap set of pliers might consist of a rusted metal which is useless. If you want a good set of fishing pliers, it is important to consider various things like material, side cutters, line cutters, split ring tool and nose length. For ladyfish, you would need a fine set of long nose pliers to detach the hooks. An easy way to hold and unhook a fish is by using towels. It is faster and easier to hold a towel rather than wearing fishing gloves for the same reason. You can grab the lower lip of the fish with one hand by the towel and use pliers on the other hand to unhook. The two most important decisions you have to make are your choice of line and bait. In choosing the type of bait you would like to use, you are faced with two broad options, live bait or artificial bait. Need my professional advice, get live bait. They are guaranteed to get the attention of the ladyfish. Menhaden is the favored meal of the ladyfish as studies have shown that 75% of the meal the ladyfish consume is composed of menhaden. Nonetheless, ladyfish are opportunistic feeding on whatever is available. They are also known to feed on smaller ladyfish, small majoras, and pinfish. So any other live bait you provide should be fine. On the other hand, there are numerous effective lines that can be used. Monofilament lines are excellent for the freedom it gives you in case the ladyfish makes an unexpected run or jump, oftentimes landing on the line. They are also a preferred choice for most anglers due to their affordability. Braided line functions well because of its thin size, which makes it more sensitive. The positive is that it provides you with ease of control of baits and allows you to control smaller lures more easily. However, I do not recommend the braided line due to its lack of stretch. Should a ladyfish make a run - and the drag is not set properly - you might just end up tearing apart its mouth. Fluorocarbon is also good underwater, especially for line-shy ladyfish. I like fluorocarbon for its great resistance to abrasions, which is certainly better than the monofilament and braided lines. My recommended line is fly-line, which is best employed when you are casting in in a tight corner. Thanks to its forward weight, the fly-line is the best ladyfish catcher. The forward weighted line is easier to cast against the coastal wind. Now that you have made your choice of gears, it's time to hit the waters. Find a prime spot for ladyfish. From my experience, they do indicate a preference for more saline water. Young ladyfish prefer to hang around in the marshes, or mangroves. If your interest is in the older ladyfish, then you should venture out to the deeper channels but not more than 60 meters out to sea. Ladyfish do not have a distinct seasonal behavior. They are more or less the same during the summer as they are in winter. Ladyfish tend to follow their baitfish; hence you should expect to find them following their bait from the ocean south into the river. Another good news is that they do not have a feeding pattern. Ladyfish will eat as long as there is food! It is possible to catch a ladyfish in slack water. I chose my fishing spots based on the time of the day. I have noticed that biggest ladyfish tend to lay near sea walls or underneath bridges at nightfall. Though lady wish won't run far, their jumping skills would certainly stretch out your line. Now, once you have found your spot in the waters, it is time to get ready to lower your bait. As I had earlier recommended, you should be using a 7 foot (6-foot minimum) fast spinning rod. If you are using live bait, it is better to use a softer, medium rod. Spinning tackle is easy to use, and I have found it very useful to coach the beginners. It also used to find the smaller ladyfish in the marsh grasses or mangroves where they are usually lurking. 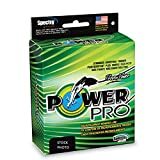 The adept usefulness of spinning tackle when fishing in tight spaces and backwaters is the reason why I recommend these. The most important lesson I can teach you about seeking out ladyfish is to cast as far away from the schools of ladyfish as humanly possible. Ease your boat up from the action and cast your hook into the school of ladyfish. Once you have cast out, hold firm onto your rod and wait. The spinning rod should move the lure at a fast pace that should interest the ladyfish. So ensure you put it to use. Once the ladyfish grabs at the bait, reel it in quickly using your pliers and towel to unhook it.
" Be very careful because the ladyfish are fighters and could find their way back into the water if you let them slip. " Catch as much as you can eat. Ladyfish make the perfect bait for redfish too. The choice is all yours. Never mind the poop. You can always clean that up later. To clean up the boat after a day of angling, this is my professional advice. Mix a cup of liquid dish detergent with a cup of white vinegar into a pail of hot water. Pour the mixture into the stained area and use a brush to clean off the poop, bloodstains or any other dirt you wish to remove. Do you like this article? If yes, do feel free to like and share with your friends. Your comments are most welcome too.